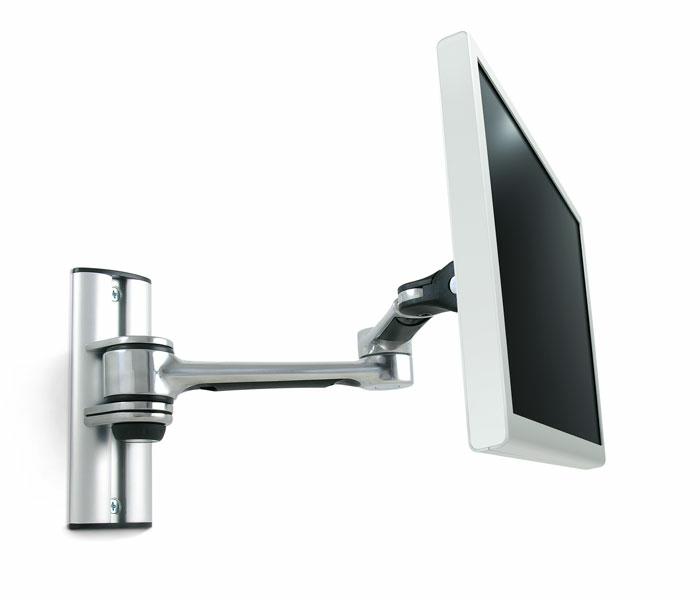 The Visidec Focus VF-AT-W wall mount combines ergonomic functionality with effortless adjustability. Its sleek and contemporary design features an elegant polished aluminium finish that will add style to any home, office or retail environment. The articulated arm allows for an attached screen to be pulled out from the wall and subsequently folded back. The viewing angle can be adjusted and the screen orientation rotated from landscape to portrait. Height adjustment is also possible while cables are managed internally for a clean and uncluttered workspace.